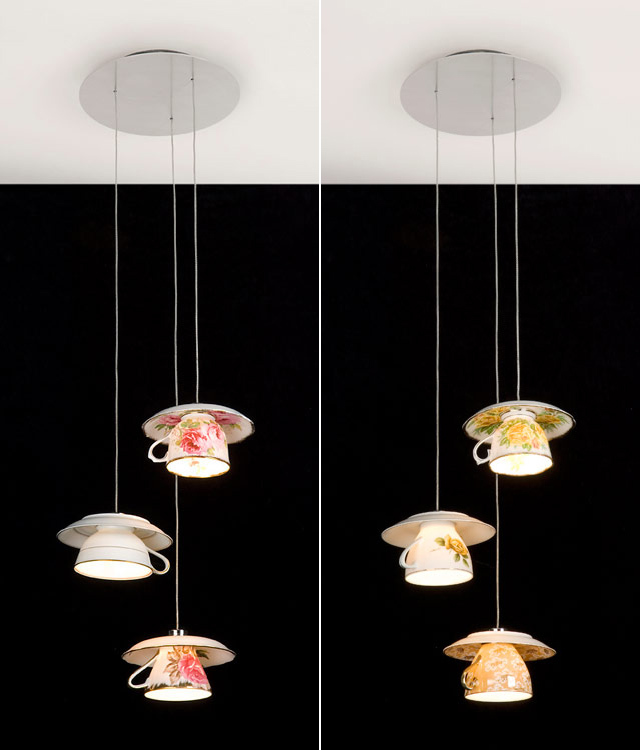 DIY Inspo: Tea cup lights! 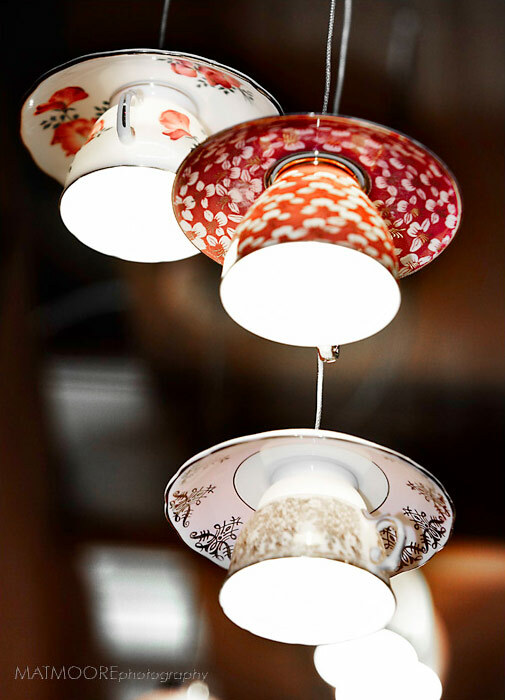 So, if you have any old tea cups and saucers lying around that you love but don't have the rest of their sets anymore here's a brilliant idea for all you hands-on DIYers to lit up (literally) your house! Learn how to make a teacup table lamp by following Threadbanger: Man vs Pin episode: DIY tea cup lamp! Decide on how many lights you wish to have on your teacup chandelier and gather enough teacups and saucers for each light. Be sure that you have enough chandelier arms and the chandelier cluster body has enough holes for your desired number of lights. Using the ceramic drill bit, drill a hole through the center of the lid of the teapot as well as the center of the bottom of the teapot. Be sure that the drill bit you use makes a hole large enough to pass electrical wire through. Again using the ceramic drill bit, drill a hole through the centers of each of the teacups and saucers. Use this hole as an anchor for the hole bit and drill the larger holes through each of the teacups and saucers. Attach the teacups to the saucers using the adhesive caulk, making sure to line the holes up perfectly. Turn off the electricity in your home. 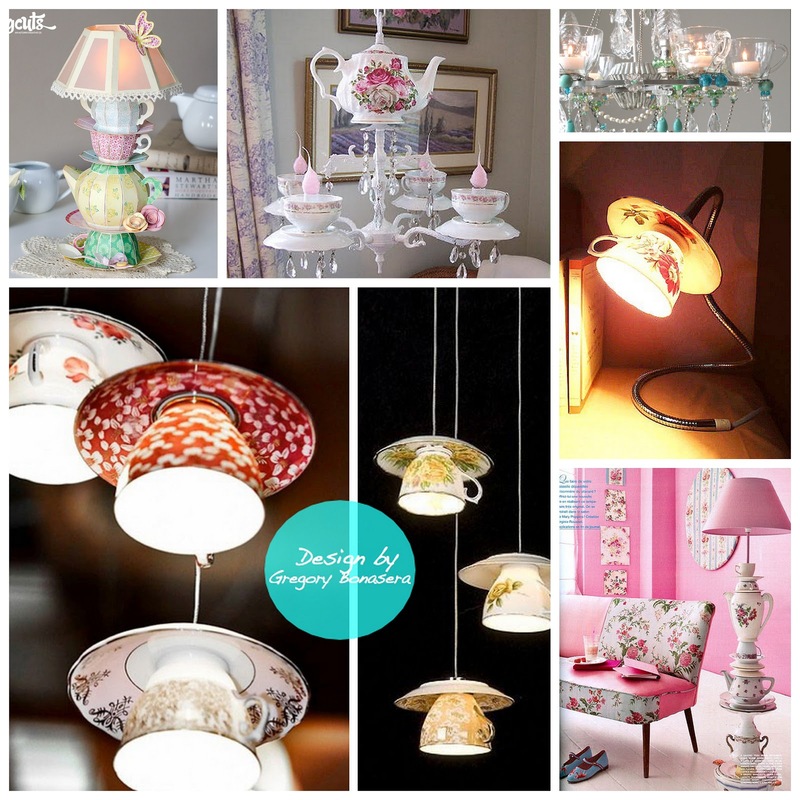 Begin wiring your teacup chandelier at your ceiling's outlet. 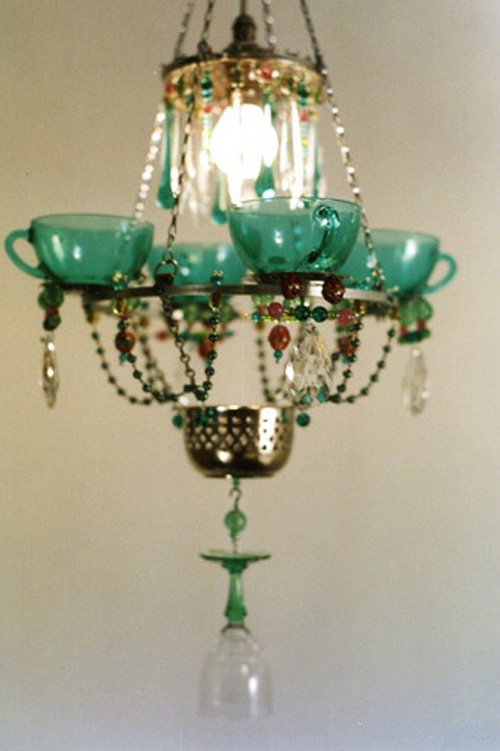 Run a multi-stand electrical wire through the teapot lid, bottom of the teapot and through the chandelier cluster body. Run the wire units through the chandelier arms, the saucers, the teacups and the candelabra base sockets. 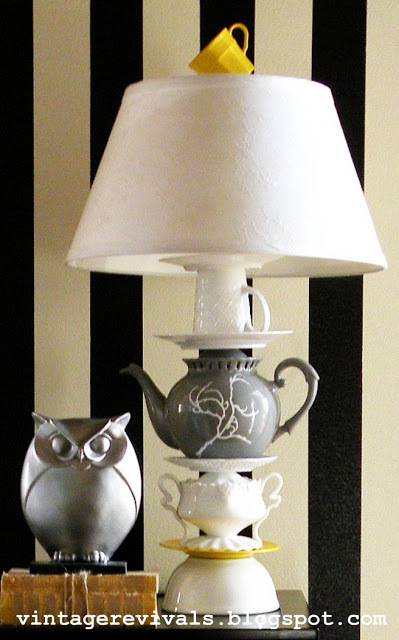 Using the adhesive caulk, attach the chandelier cluster body to the teapot and the teapot lid to the teapot. Screw the chandelier arms into the chandelier cluster body. Feed the other end of the chandelier arms through the bottom of the teacups and saucers. Attach the candelabra base sockets inside the teacups and cover with the candle covers. Screw bulbs into the sockets and attach light shades. Turn the electricity back on.